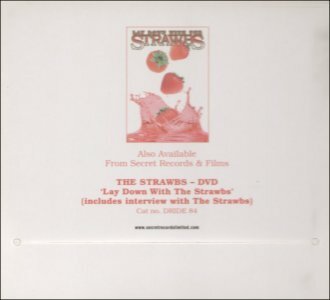 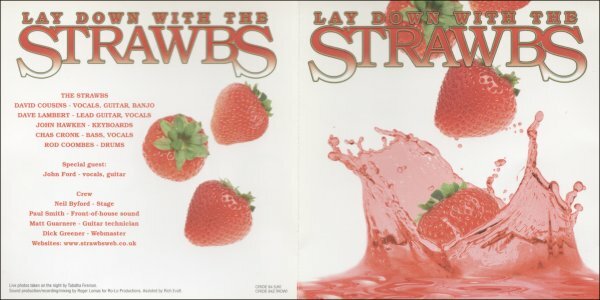 Back to main Lay Down With The Strawbs CD page. 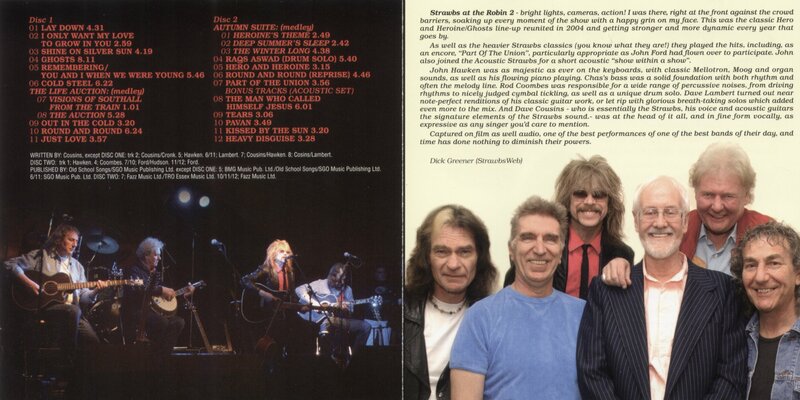 CD: CRIDE 84 (Secret Records & Films, 2008). 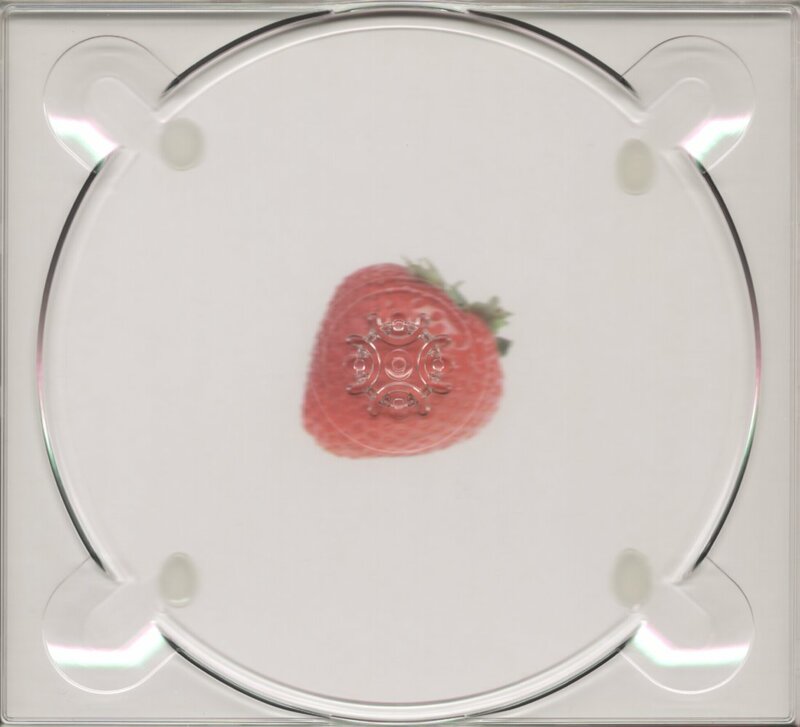 The packaging is a tri-fold, the whole outer shown below. 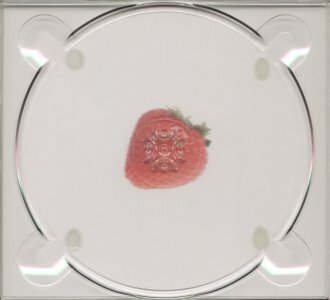 Fold the inner right panel in then the left. 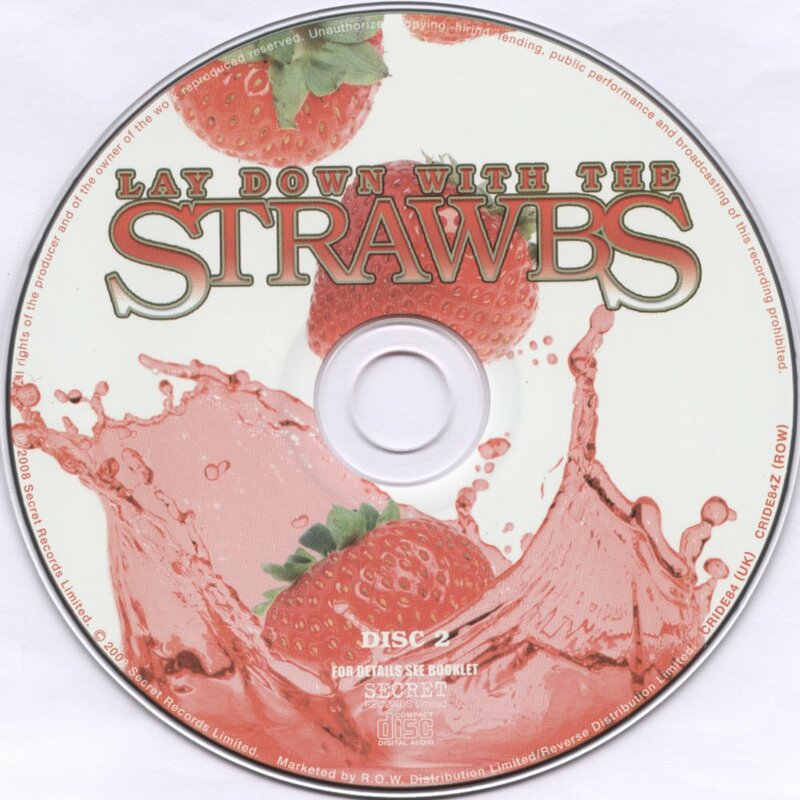 The left and right inner panels have transaparent CD holders over a whote background with a strawberry motif. 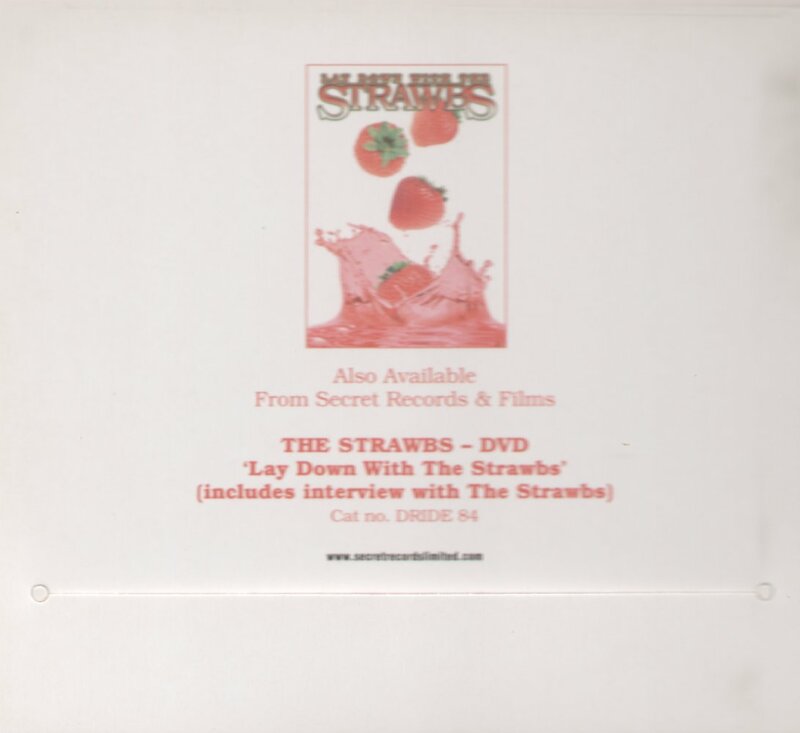 The inner middle panel is scanned below - it has a slot to insert the 4pp booklet.